A lot of concerts from this tour is in circulation (both video & audio) and this concert is (…again) a great example from that last leg. This would be a great release for us…The 99 shows were nice, with Dylan still able to play the guitar, and Larry Campbell’s magic behind him. I wish they’d set up a download service similar to Springsteen and others…. 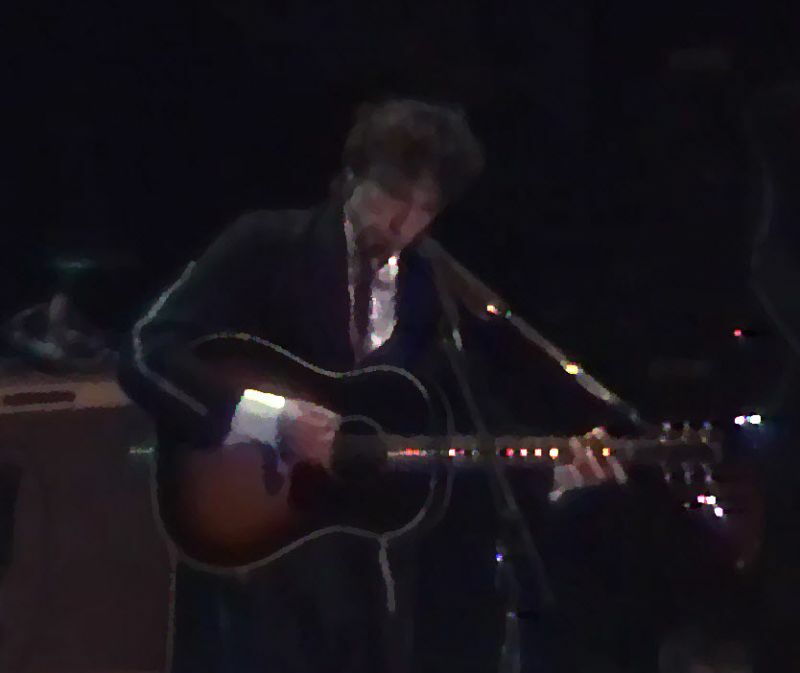 This was the 2nd Dylan show I had ever seen. I was just shy of 20 years old, with my college girlfriend. This Was probably also my favorite show out of the 15 or so I attended since…mostly because I was about three “rows” from the front (general admission). Why seeing Dylan is/can be great is being up close. He always does a great show…but if you are an arena away with no visibility and questionable acoustics, it makes sense that some people don’t get it. Watch his face during Highlands–brilliant. And yes, he doesn’t play the same old songs the same way like a nostalgia act. The opener, Phil Lesh and Friends, was skillful but very jam band…they played Not Fade Away by Buddy Holly. But I was never into huge instrumental breaks; a little can go a long way. Dylan and co. Played it again as their closer and it was great. I remember their faces and at least the band, if not Dylan as well, knew that they were playing the same song that their opener had played already. I like to think I saw a competitive look in their eyes…it made it edgier and more rock n’ roll and it was a high energy moment. But of course Dylan shows are ebbs and flows. Thanks to whomever posted this video and of course who ever had a camera there to film it. No camera phones in ’99 so not sure where you garaged that on the way in. I was at this concert in 99. Bob was great as usual but the opening band was terrible in my opinion. They did a lot of Dead stuff so the crowd has heavy with Dead heads and they just sucked, Jumped a lot of seats, noisy, rude. They ruined it for many people. Only the other hand I believe this was the last time I saw Bob play guitar, Didn’t know it at the time but that was coming to an end.